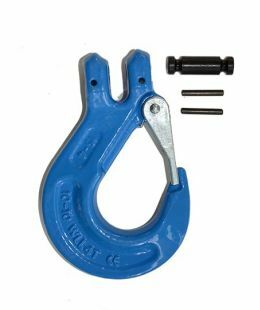 Grade 100 clevis self-locking hooks have a grip latch and are rated for overhead lifting. 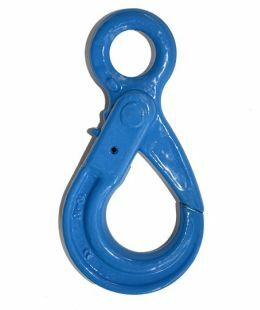 G100 clevis self-locking hook allows the hook to be easily closed with one hand, it will close itself when the load is engaged and will not open under load. The Hook will not open until the trigger at the back is pressed. 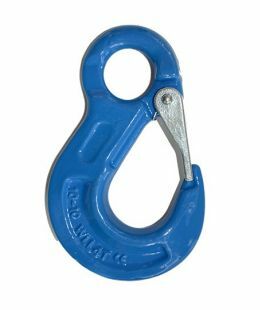 The clevis design prevents hook to chain mismatch and has a deep chain pocket design. 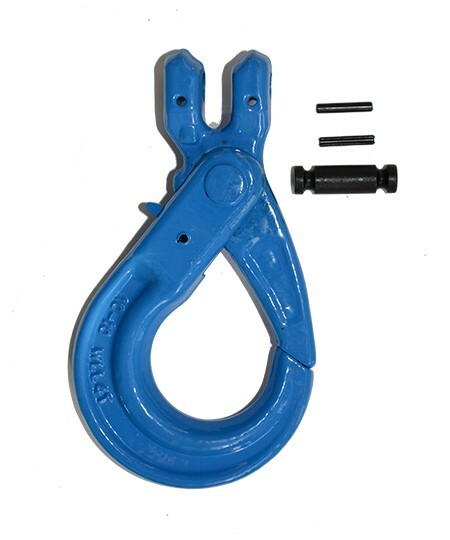 The recessed trigger is flush with the body of the hook, preventing damage to the trigger. • Manufactured from G100 alloy steel. 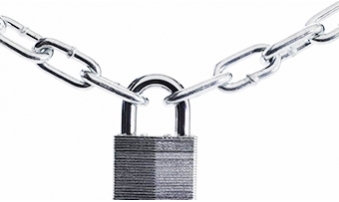 • Latch closes automatically under load. 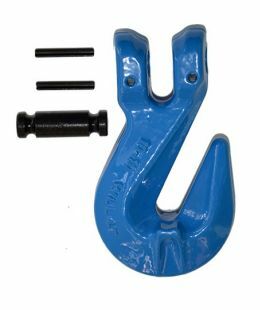 • Spare Trigger Kits and Load Pins are available. • Rated for overhead lifting.